Researching swimming pool toys and games is hard work my friend. So, I made sure to relax a bit with a couple of beers, a float, and a waterproof notepad to outline this article. Don’t worry, I mixed in some sunscreen. We all know that playing in the water is fun even with no toys. But the fun gets a 10x feel when you add some items to the mix. Why do you think boats and skis were invented for lakes? The same holds true for smaller bodies of water that are set in your backyard and financed via a home equity loan. 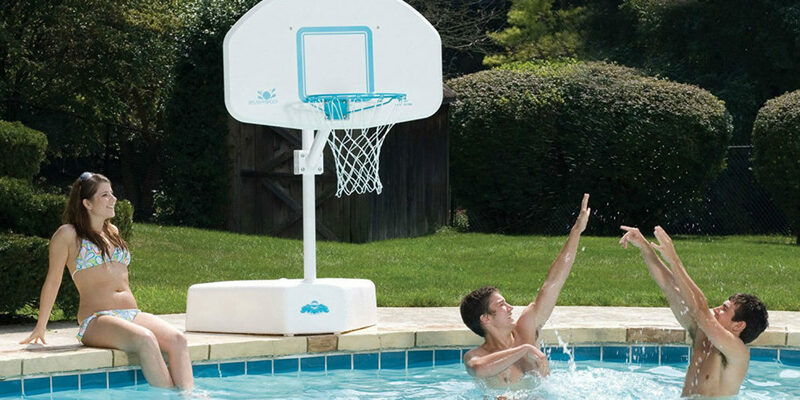 You and your family can enjoy swimming and cooling off all day long with no accessories. But to go to the next level you should add some toys and games to the wet mix. Those are just a few ideas and here are the accessories to make it happen. Playing chicken is still cool, but add some variety to those swimming pool parties. You will never be the MJ of H2O, but you can make your son whine like LeBron when you crush him on the basketball water court. 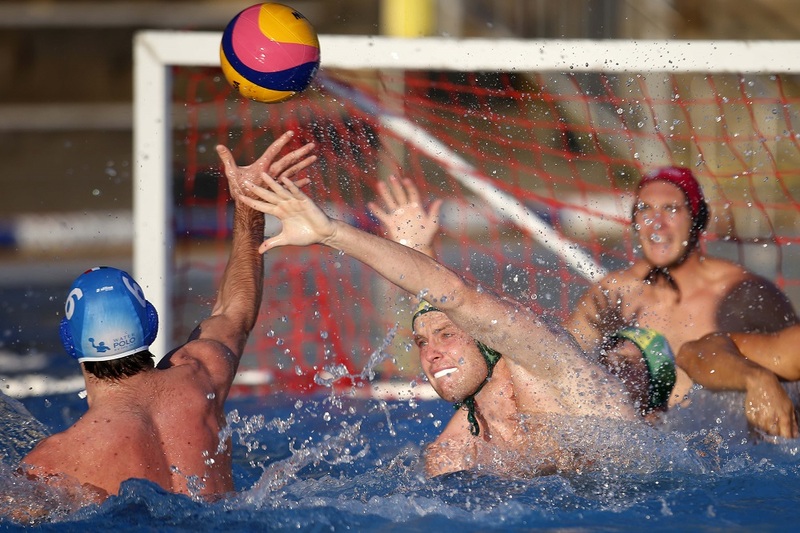 Sports play has come a long way from games of the past made for pools. You could actually get up a neighborhood tournament with this high-quality setup. Calling your own fouls is weak so let a fair-minded grandparent be the ref. Keep in mind they probably like the grandkids more than you. Sorry. 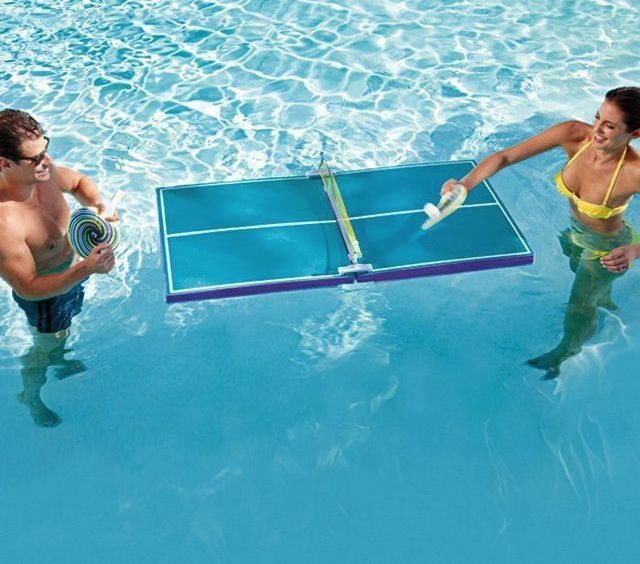 The good thing about ping pong? You don’t need to exert yourself too much. Also, this is a more chill game than basketball so emotions can stay in check. If you lose, so what. Take a break back at the pool steps and have another frozen drink while your uncle gets those burgers going on the grill. You can find the perfect one right here. 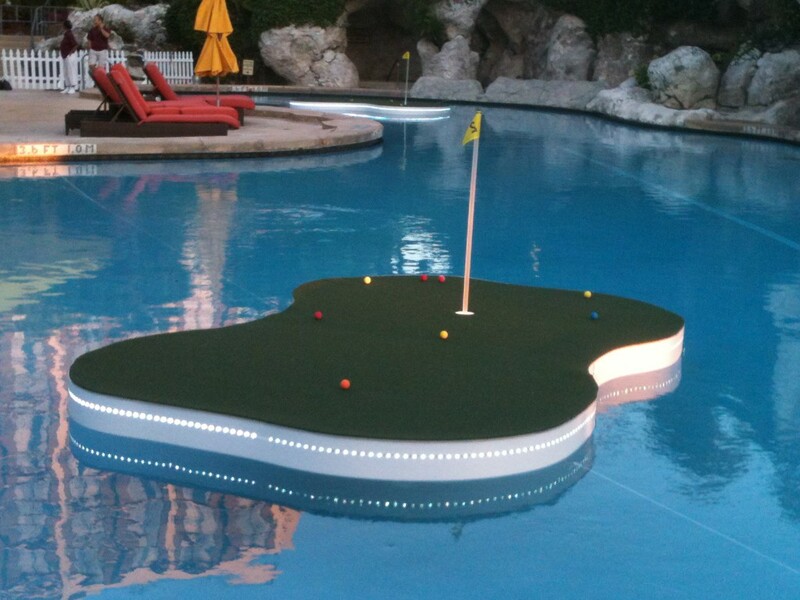 You thought I was kidding about swimming pool golf huh? No way, man. This is for real. What better way to work on your tan and golf game at the same time? The person who created this game has to be the smartest cat on the planet. Or the one with the most free time to think up such leisure activities. You do have to provide your own golf club. That’s no issue. If you don’t already have your own clubs why would you purchase this pool game? BTW, you can buy clubs at thrift stores at rock bottom prices if you are new to the swimming pool golfing craze. No longer is beer pong relegated to land lovers. Get your party drink on while staying cool under the sun with this contraption. I take back my genius label for the pool golf inventor. 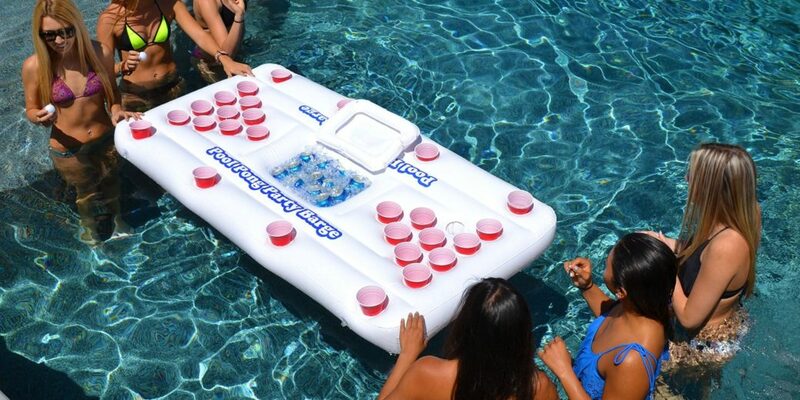 The pool beer pong inventor is now my super genius hero. Why get out of the water to play the best drinking game ever when you can chill in the shallow end and destroy your friends as they get less and less lucid with each miss? Do stay safe folks. Water and alcohol is a great combo only with some clear-headed thinkers around to corral the knuckleheads who go too far. Check out the great ones here. Water polo is for humans only as the old joke goes. And some of the greatest athletes in the world take part in water polo if you have never viewed it during the Olympics. That is not your goal however. You just focus on having fun with this inexpensive setup, which looks like a fun floating seesaw rocker. And remember to let your kids win every once in a while. You have about 3 feet on them and shouldn’t be going for a 4-game sweep. It is a game people. Find the best assortment here. 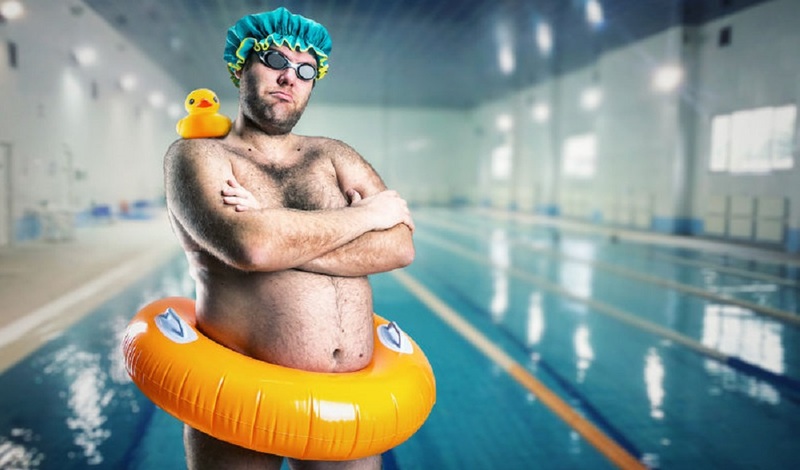 What’s the best sport to play in the pool? Got to be volleyball, right? It can get a little competitive if you don’t watch out, but most folks know how to have fun with it. It’s a natural fit. Water and a floating volleyball net. No running on hot sand like at the beach either. Just chill in the cool pool water while the action goes on and on. I don’t suggest any spiking unless you want to get chewed out by Robert De Niro for going too hard. 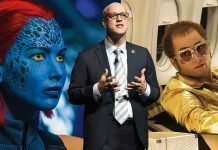 That’s a “Goodfellas” reference for you non-movie geeks. 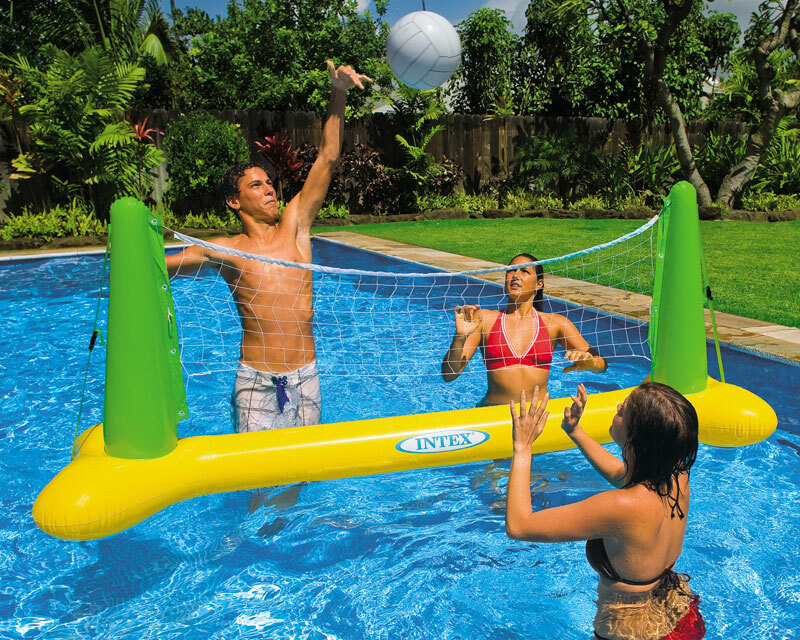 You can find combo volleyball and badminton pool sets here. Here’s a new take on an old pool game. No more riding the shoulders of guys and grappling in hand-to-hand combat in the shallow end of the pool. This inflatable game seems a bit less dangerous than the original version of chicken. Lots of fingers to the eyes in the old school version. With a fun jousting set you can wail away at your opponent and never worry about a concussion or eye poke. Here’s some great ones here. 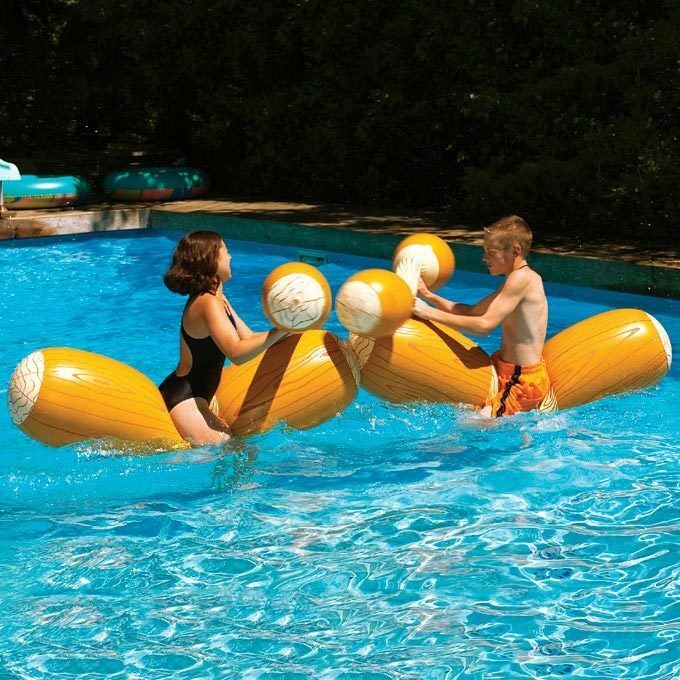 Click here to find a wide range of pool toys and games as their summer sale prices have really kicked in.